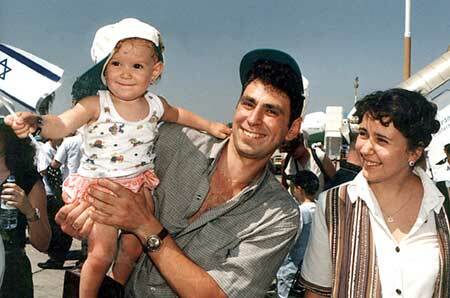 The Diab family. 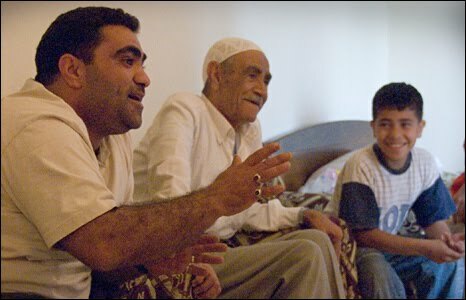 Three generations of Palestinian refugees, their village was depopulated in 1948 and its buildings destroyed. Israel has ruled out any repatriation of the millions of Palestinians in the Diabs' position because that would jeopardise the Jewish majority in the world's only Jewish state. Avigdor Lieberman. He's from Moldova. He came to Palestine in 1978. If you are a former bouncer from Soviet Moldova, welcome to Palestine. A Russian family who went to Palestine in 2008. And this lady is from LA. 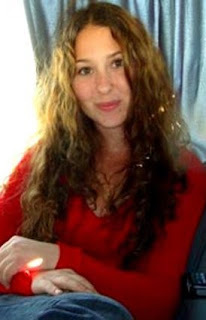 She plans to join the Israeli Defense Forces in October. Helen Thomas is vilified for speaking plainly and truthfully, as so many Palestinians and their supporters have been since the artificial imposition of a "Jewish" state in Palestine. "Tell them to get the hell out of Palestine. These people are occupied. "Go home. Poland Germany and America and everywhere else."